Decades of experience in paper pulp making machines and extensive paper process know-how form the basis of the high standard of Leizhan mid consistency pressure screen engineering. Leizhan delivers latest services from a single source – from project design, equipment manufacture, installation and commissioning, to after-sales service and training. 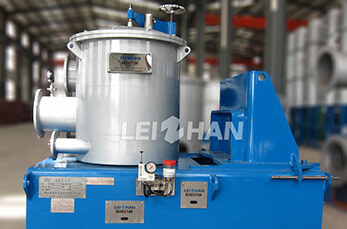 Mid consistency pressure screen is the best selling and advanced products of Leizhan paper and pulp machinery. It applies to Simens, ABB or other energy saving and high performance motor, perfect steamless welding technology importing high technology accessories and components abroad. 1. Mid consistency pressure screen is used for coarse and fine screening of various waste paper pulp. Many rotor blades, no winding, high efficient and energy-saving rotary rotor. 2. The machine can screen pulp normally under quite high consistency(2.5-4%). It reduces the amount of water cycle and system energy consumption in production process. Heavy impurities discharge pipe makes sure the screen basket runs safely. 3. Advanced structure, convenient disassembly and assembly. 4. Low energy consumption, less loss of fiber. 5. Easy to operate, less maintenance cost. 7. Seal water flow automatic detection alarm device ensures the system runs safety.